On Wednesday, the White House held its time-honored Thanksgiving tradition of pardoning a turkey. However, not all the focus was on the lucky bird. 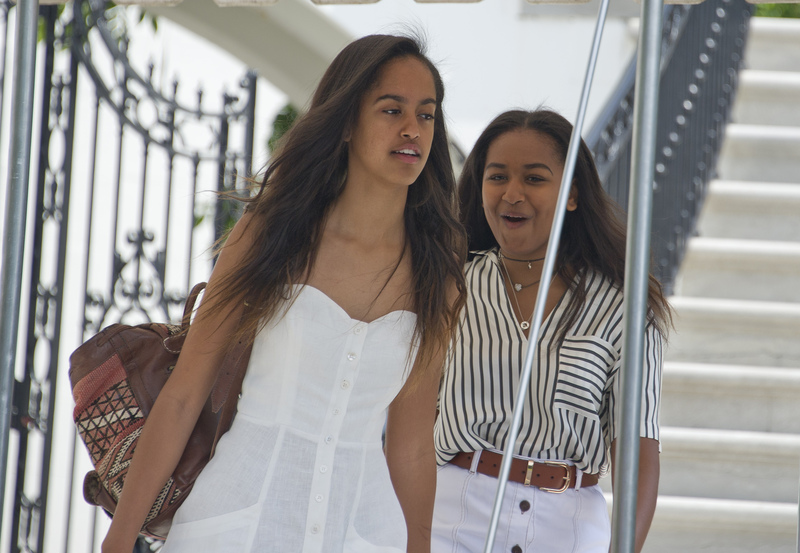 Twitter blew up with questions about why weren't Sasha and Malia Obama at the turkey pardoning? According to ABC News, the first daughters took a hard pass at their dad's last turkey pardoning because of a "scheduling conflict." While the annual turkey pardoning is one of my personal favorite and joyously unpolitical White House traditions, perhaps the event is old hat for Sasha and Malia. This year's would have been their eighth go at watching a turkey get a presidential pardon from their father. As Obama himself joked at the ceremony, "Malia and Sasha are thankful that this is my final turkey pardon." He also talked about how for the past seven years, "I've established a tradition of embarrassing my daughters with a corny-copia of dad jokes about turkey." While Obama said his two daughters had a "scheduling conflict," he then said, "Actually, they just couldn't take my jokes anymore. They were fed up." However, the first family still had some tikes in tow — and they stole the show. President Obama's nephews, Austin and Aaron Robinson, were in attendance, standing by the commander-in-chief's side for the official pardoning of the two turkeys, Tater and Tot. Obama said he brought some younger relatives, "who, unlike Malia and Sasha, have not yet been turned cynical by Washington."